Here's how you can go about tracking and killing the Kushula Daora in Monster Hunter World. 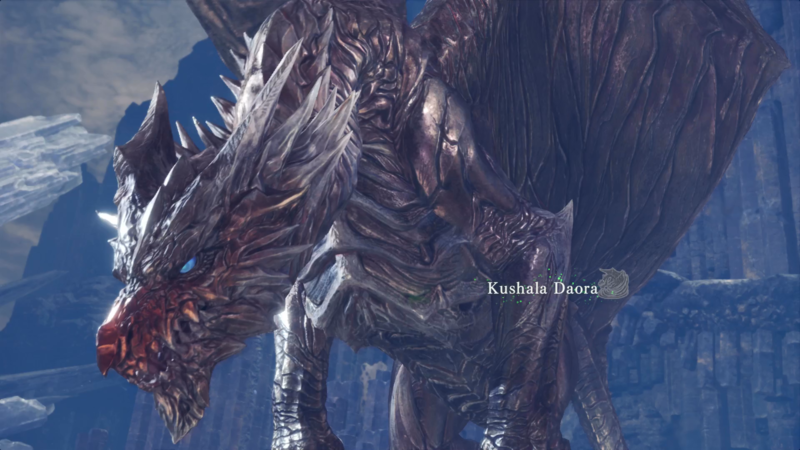 One of the few Elder Dragons featured in Monster Hunter World is the Kushula Daora, and it's one powerful foe. In this Monster Hunter World Kushula Daora guide, we'll be compiling a complete list of all the tips and tricks you need to know when facing the monster in open combat, and much more. If you need anything else on Monster Hunter World, including how to successfully track any monster in the game using the Scout Flies, as well as how to capture a monster alive, head over to our Monster Hunter World guides walkthrough hub. In order to track down Kushala Daora, you’ll first have to defeat Nergigante, the introductory Elder Dragon fight of Monster Hunter World, and you’ll then have to find all the blue tracks of an Elder Dragon in the Ancient Forest. We'd recommend starting out from the Southwest Camp of the Ancient Forest, and steadily working way into the center of the map, making sure to pass through the Great Jagras nest, and into the northern reaches of the map. Although the tracks of Kushala Daora are randomized in the Ancient Forest, you're nearly always guaranteed to find them near the open region in the south of the map, where the Great Jagras regularly preys on Kestadon. Keep in mind that if you're struggling to find tracks for the Elder Dragon, you can simply exit out of the region and re-enter from Astera, as all the tracks will have reset but the tracking meter itself will stay at the same level. 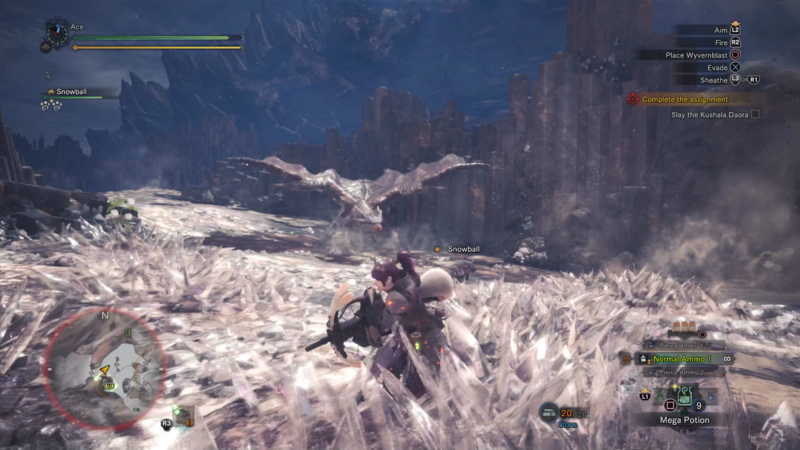 As with Nergigante, we’d strongly recommend firing off an SOS Flare after the cutscene is over, to summon hunters to help you take down Kushala Daora. This Elder Dragon is gifted with the element of wind, and nearly all its powerful attacks involve it generating gusts of air with its wings to shoot across the battlefield in a line, or rising up in the air and creating a tornado underneath it. You’ve got to be particularly careful not venture too close to any tornadoes left by Kushala Daora, as they’ll temporarily stun you, which can easily be a fatal error against an Elder Dragon. Since no armor in MHW has stats against wind damage, you’d be better off equipping the armor set that gives you the best defense values against Kushala Daora. The Dragon of Steel doesn’t actually have a huge range of attacks, but the attacks that it does pull off can be devastating. 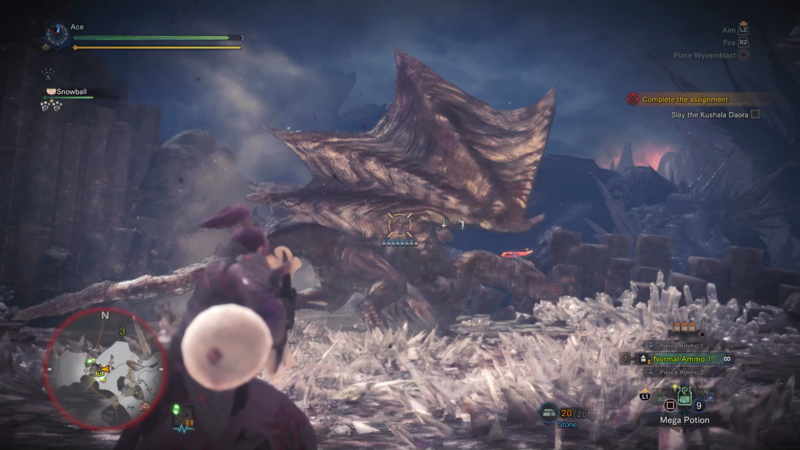 When you’re up close to Kushala Daora, it can execute two quick swipes if you’re directly in front of it, or an attack where it whips it tail around if you’re stood behind it. Avoiding these is fairly simple, but you’ll basically want to keep moving when fighting the Dragon of Steel in close quarters. As for ranged attacks, the Kushala Daora has a fairly simple but devastating attack where it pounces across the battlefield in a straight line, and to avoid this all you have to do is dodge to either side of the attack. Alternatively, the Elder Dragon can rise up into the air, sending multiple gusts of wind down towards you. While these might not cause a huge amount of damage, they will stun you for a short amount of time, letting Kushala Daora come slamming down on top of you for huge damage. When you’ve dealt a significant amount of damage to the Dragon of Steel, it’ll retreat to the upper reaches of the Elder’s Recess region in area 4, where you’ll have a tough final battle. This area is relatively small and closed off, meaning it’s incredibly easy for Kushala Daora to cut off entire sections of the battlefield by generating tornadoes. To counter this, have your Palico equip the Flashfly Cage, and use it whenever Kushala Daora rises up into the air, as it’ll send it plummeting straight down again before it can attack from the air. This might conclude our guide on how to defeat the powerful Kushala Daora in MHW, but if you need anything else on the massive game, head over to our complete weapons guide page, or our guide to the best armor in the game. Tagged with Action,	Adventure,	Capcom,	Co-op,	Guides,	PC,	PlayStation 4,	Xbox One.